The five activists who have been arrested are to be held in police custody for seven days even as questions arise over a letter containing all the details of several plots that allegedly ties them to the banned CPI (Maoist) group. Pune: After branding the five persons arrested in the Bhima Koregaon violence as ‘Naxals’, the Pune police has now come up with another theory – that the activists were planning to “target Prime Minister Narendra Modi in an attack similar to the assassination of former PM Rajiv Gandhi”. Earlier, the police had claimed that the five persons were behind the violence that broke on January 1 when a Dalit congregation had converged at Bhima Koregaon on the outskirts of Pune. The arrested persons include senior human rights lawyer from Nagpur Surendra Gadling, senior Dalit rights activist Sudhir Dhawale who is the editor of bi-monthly magazine Vidrohi, Mahesh Raut, an alumnus from Tata Institute of Social Sciences and former Prime Minister Rural Development fellow, Delhi-based social activist Rona Wilson and Shoma Sen, an associate professor from Nagpur University. However, this claim was based on a letter that the police claims it recovered from the laptop of one of the five arrested persons. The team of defence lawyers who had travelled from Delhi, Mumbai and Nagpur vehemently opposed the police’s theory, saying that even while the police has invoked stringent sections of the draconian Unlawful Activities (Prevention) Act, they have failed to show any evidence that the arrested persons were part of the banned CPI (Maoist) group. All five are to be held in police custody for seven days. On June 6, the Pune police, in a ‘joint operation’ along with Nagpur, Mumbai and Delhi police, had arrested all five. They were taken to Pune and presented before the court on June 7. While four of them were produced in the afternoon, the police produced Gadling separately at magistrate A.S. Bahisare’s court at 5 am. The police claimed that it was “dangerous” to bring him along with other accused. Susan Abraham, who had travelled from Mumbai to represent the arrested persons, expressed shock at the treatment meted out to Gadling. “This is the first time I am seeing that the police has produced an accused person at 5 am before the court. The police intentionally chose their own lawyer to represent him (Gadling),” she said. Magistrate Bahisare later continued to hear the remand application of the other four in the afternoon. Along with charging the accused with threatening the “integrity of the nation”, Pawar also mentioned that they found a letter on Wilson’s laptop that had allegedly been sent to him by one ‘comrade M’. Police sources later claimed that comrade M is fugitive Naxal leader Milind Teltumbde, who carries a bounty of Rs 50 lakh on his head. According to Pawar, the police has various documents that include “vital information that shows that the activists are planning to wage war against state”. She claimed that in the month of June and July 2017, Dhawale had received “funding” to organise the Elgar Parishad that was to be held on December 31, 2017. Two Naxals – Manglu and Dipu – according to the police, were allegedly in touch with Dhawale. 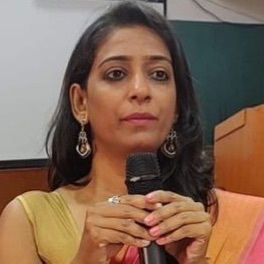 Refuting these claims, Sidhartha Patil, the defence lawyer who is representing Dhawale, said that the police had shown a serious and unexplained delay in filing the FIR and carrying out the subsequent investigation. “If these were dangerous Naxals, why did the police take so long to arrest them. The entire theory floated by the police raises serious doubts,” Patil argued. He also pointed out that although Dhawale was arrested from his residence in Deonar in Mumbai at 7 am, the police record shows that he was arrested at noon. The initial FIR registered on January 8 only mentioned Dhawale along with other members of the cultural group Kabir Kala Manch. Although the police have not arrested anyone from the group yet, they added new names to the FIR. Sen, Raut, Gadling and Wilson had not participated in the ‘Elgar Parishad’, an event that was organised by over 200 organisations from across the country at Shaniwarwada in Pune, a Brahmin hub of the city. The Elgar Parishad was organised on December 31, 2017, and people had gathered in large numbers. January 1 was when the sudden violence broke out at Bhima Koregaon in which Dalits were targeted. Several vehicles were burnt. While one person was killed, several were injured. Until now, the police had maintained that the attack had been planned and executed by two Hindu hardliners – Manohar Bhide and Milind Ekbote. Bhide and Ekbote, both Brahmins and prominent Hindutva leaders in the state, have several cases pending against them. While Ekbote was arrested after public pressure, Bhide has not been arrested even after the Supreme Court rejected his anticipatory bail. The FIR against them is still pending. 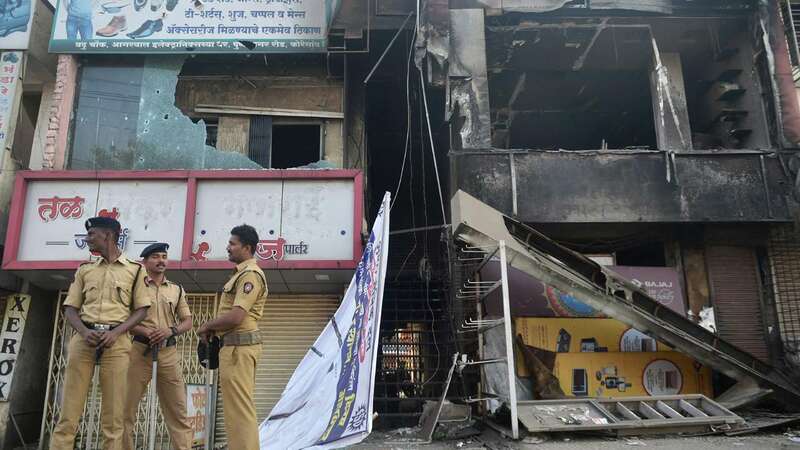 Patil pointed out that although the riots took place on January 1, a day after the Elgar Parishad, the FIR against Dhawale and others was lodged only on January 8. The police had later carried out search raids at Dhawale’s residence on April 17. Patil raised the question as to why the police took months to act upon something so “serious”. “It only seems like the police waited for so long only to plant evidence,” Patil argued. He further argued that invoking UAPA was fundamentally wrong and the arrests were illegal. Invoking the past case of Dr. Binayak Sen, Patil told the court: “Mere existence of documents and letters belonging or mentioning a banned party does not show the activists have links with them. Police has not produced any documents which show the arrested people were active members of a banned party. So why have the police invoked UAPA?” The initial FIR only had sections of the Indian Penal Code, UAPA was added later.